RSP Nutrition Dyno – Is New Always Better? 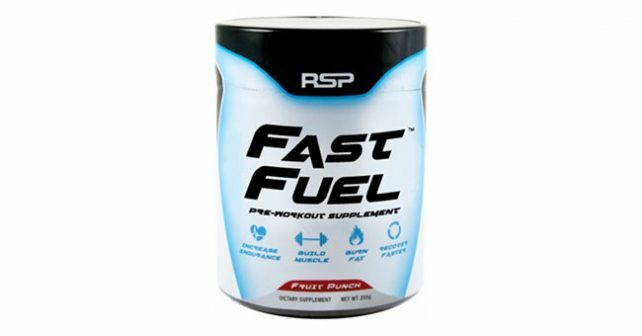 Last year, fresh from being awarded as the best breakout brand of the year by Bodybuilding.com, RSP Nutrition released its pre-workout brand, DyNO, which RSP Nutrition claims to be the perfect combination of stimulant and non-stimulant ingredients. Today, the supplement industry has far too many similarities with individual products. We have reached the point where we can immediately tell the purpose of a supplement based on its active ingredients. RSP Nutrition’s DyNO is no different from the mold. Many other products contain the same active ingredients that RSP Nutrition’s DyNO has. In comparison, DyNO was just released recently. It is possible that DyNO is getting a free ride on the backs of the people who had the original idea about the combination of nutrients that would lead to actual results. It is also possible that RSP Nutrition has taken the mistakes of DyNO’s predecessors and made an entirely new solution with DyNO. Whatever the case is, DyNO promises to deliver results fast. We have taken a closer look at DyNO to see if there’s more to the product than meets the eye. DyNO promises its users the most explosive energy experience they have ever had. Based on our observations, it’s wouldn’t be impossible for DyNO to achieve such potent energy release since it has 400mg of caffeine in one serving. Just to give you an idea, that’s like taking 6 cups of coffee in one go. That much caffeine in one serving has its drawbacks. Many users experienced caffeine side effects, like jitters, insomnia, and some anxiety disorders. User reviews indicate that they experienced a sharp drop in energy levels, despite the claims made by RSP Nutrition that DyNO wouldn’t cause caffeine crashes. In addition to caffeine, DyNO also has Beta Alamine, which is used to work hand-in-hand with the energy drawn from caffeine effects by enhancing the exercise capacity of the individual. Beta Alamine has shown promise in DyNO’s formula which should have been a lot better if crashes are not all too common with DyNO. Through a careful examination of DyNO’s ingredients, it’s obvious why DyNO markets itself as an explosive pre-workout supplement. These ingredients basically give you the energy and it raises your tolerance for fatigue. Despite having all of these ingredients, it seems that it could have gotten a lot better if there were sustained-release energy sources that would work hand-in-hand with the compounds that raise your tolerance level for fatigue. It makes no sense to be explosive for only half an hour and experience a crash while feeling no development on your body since your tolerance for fatigue is heightened. There are many supplements that contain caffeine, and majority didn’t have to bump the dosage to 400mg per serving just to get some results. Getting caffeine to such high levels will increase the risk for side effects. The risk to benefit simply doesn’t make sense. If you want a complete muscle enhancement supplement, try NitroGenix 365 in conjunction with Xtreme Testosterone and see the difference a complete workout supplement gives.